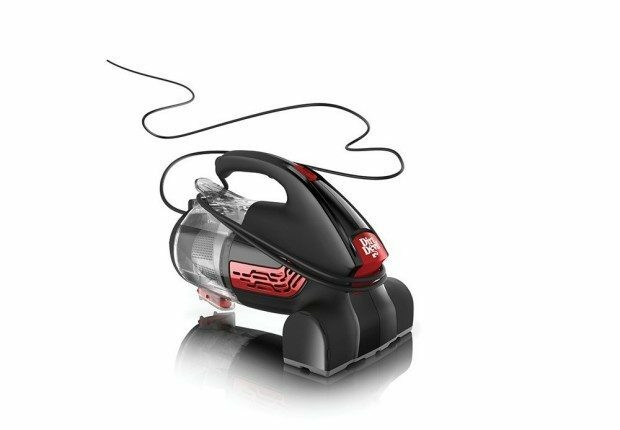 Dirt Devil Bagless Handheld Vacuum Only $15.99! You are here: Home / Great Deals / Dirt Devil Bagless Handheld Vacuum Only $15.99! Visit Best Buy for a fall clean up item! Perfect for getting all that beach sand out of your car, The Dirt Devil Bagless Handheld Vacuum is on sale for Only $19.99! But Best Buy has a 20% off coupon that brings the price down to $15.99 or use promo code SAVE20 at online checkout! Buy online and pickup in store for FREE! Makes it easy to tackle messes in a variety of space-constrained areas, such as cars, stairs, couches, upholstery and corners. The comfort-grip handle allows comfortable use. Can be washed clean for simple filter maintenance. Lets you clean a large area before having to change outlets. Integrated cord storage creates a neat, tidy appearance when the hand vac is not in use. To thoroughly clean a variety of surface types. Lets you easily dispose of debris with the touch of a button. Allows you to cover a wide area with each pass. Powerfully rolls through big and small messes for optimal cleaning performance.